One poll this summer stated that more Americans trust the White House than the media. Another poll said more trust the media than the President. And a good number of people trust neither. If you're having a problem getting the basic facts on a story instead of so much spin there might be a good reason. It might just be because 'we', the media, are asking the wrong questions. Frank Sesno; educator, journalist and author of the book "Ask More" knows why. Frank Sesno: The idea behind the book ‘Ask More’ is that, I’ve had so much opportunity, myself, to ask questions all my life and discover. And I realized that there is, actually, sort of a taxonomy to this, there are types of questions. And each type of question connects to a different outcome, each is approached differently, questions are framed differently. And we listen for different things. And if we can understand that and pursue that, we can be better in business, we can be better in relationships, and we can be better citizens. 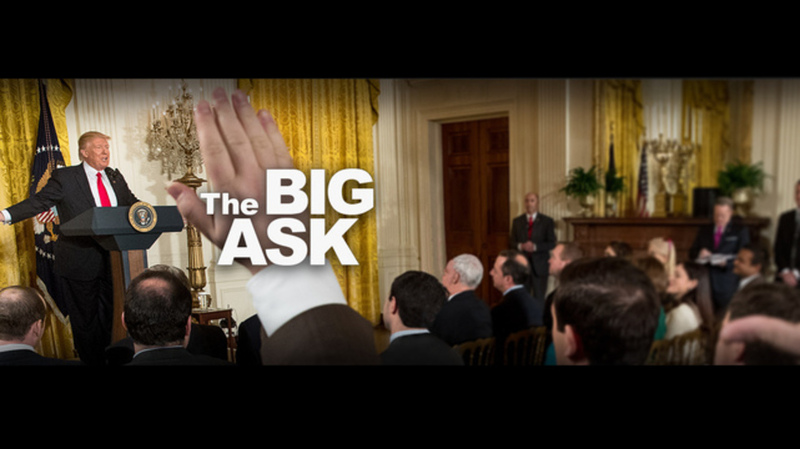 Sharyl Attkisson: What kinds of questions dominate media and culture today, in your view? Sesno: I think, in this diet of questions, types of questions, we’re binging on the confrontation. We’re asking too many confrontational questions, so that we get this sense that all we’re doing is carping and fighting. Fox News: Is a question an attack? Is a question an attack? WCMH: You’ve been labeled a racist, You’ve been called a sexist; How do you respond to that? Sesno: And we’re not getting the deeper understanding of things that gives us the context, that gives us the empathy, that allows us to diagnose the problem. You have to diagnose a problem before you can treat it. Those questions are often self-serving. They reinforce our own biases, and our own opinions, rather than challenging others and ourselves, to figure out first what’s going on and why. Sharyl: When it comes to the media, why do you think they are, as you say, binging on the confrontational questions? Sesno: When it comes to the media, I think the binge on confrontation is because that’s where the drama is. That’s where the ratings are, that’s where the clicks and the eyeballs are. It’s not where the deeper understanding and context are. Sharyl: Can you think of any confrontational exchanges or questions that stand out from the past six months, or year? Sesno: Well, the confrontational questions that stand out to me over the past six months or year are the ones where you’re constantly hearing people harp on what Donald Trump has said, or done, or the latest tweet. MSNBC: The President appearing to refer to Kim Jung Un as “Rocket Man. He also retweeted this fan fiction video of Trump hitting what seems to be Hillary Clinton with a golf ball. Sesno: Over and over and over, it’s fine to ask about that, it’s fine to confront and push. The media, journalists, should do that. It’s not that they shouldn’t do it. It’s that they should also, must also, make time to ask the ‘why’ questions, the ‘how does it work’ question, the ‘what’s the problem here’ question, the ‘what are the trade-off’ questions. Sharyl: What can people learn from this, who aren’t in the media? Sesno: How to ask. How to listen. I think we need to change the term ‘Q and A’, to ‘Q and L’. So ask a question and really listen. Not just to formulate a response, but to deeply understand. I think that empathetic questioning, where we’re really trying to understand our partner, our colleague, our employee, our elected leaders, those we serve, are the most neglected and most important questions of all. That’s why people pay to go to therapists, because that really is empathetic questioning to draw you out. We need more of that. And so, really good questioning prompts us to slow down and get to know somebody. Listen, maybe be comfortable with silence. And get in touch with ourselves, question ourselves too, challenge ourselves. Sharyl: Did I ask the right questions today? Sesno: You asked brilliant questions. Sesno and I were reporters at CNN, at the same time, years ago. He says one of the frustrations for reporters today is how to get politicians away from prepared talking points. He says persistence can pay off, eventually.